I stay out of Democratic presidential primaries as much as possible and I'm hoping to continue that habit this year as well. But I'm thrilled that such a quality field is developing and I look forward to seeing how it all shakes out. Obviously, beating Donald Trump is job one, but I don't have a clue what the winning formula is at the moment so I think a good primary battle will make that a bit more clear. 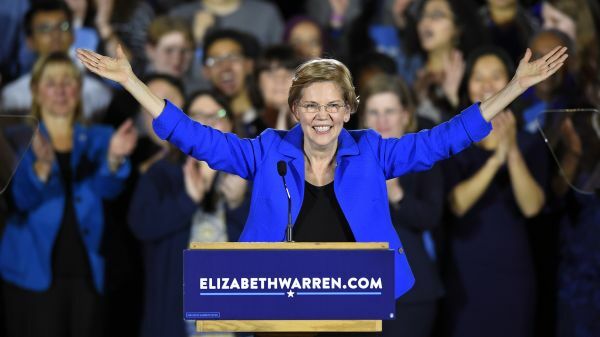 Anyway, Senator Elizabeth Warren announced her candidacy today and I'm very happy to see her in there. She has tremendous political talent, in particular a way of speaking that conveys economic issues in terms that average people can relate to. I've been a fan for a very long time, ever since I got to hear her address a small meeting of a few of us at Netroots Nation back in 2010. I remember that someone asked her at the end of it if she would run for president and she flashed a rueful little smile and ducked out of the room. I always figured that if the stars aligned that meant "yes." If you value what we write here, I hope you'll consider supporting the blog with a couple of bucks. If you've already donated, I thank you from the bottom of my heart. If you haven't and would like to, the paypal buttons are on the sidebar and below as is the snail mail address.